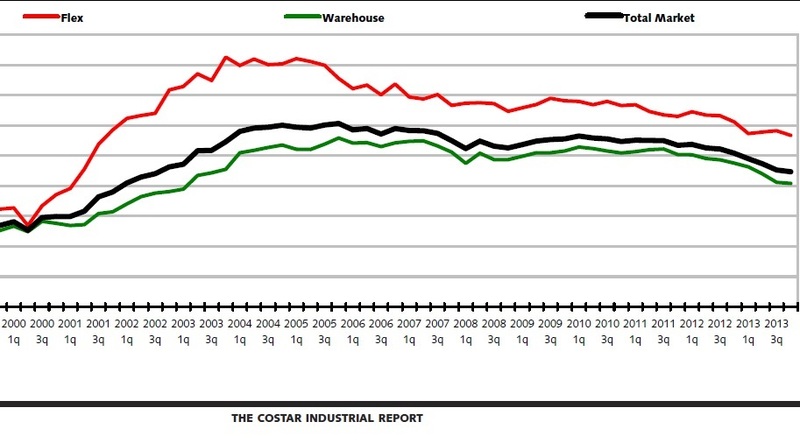 By the end of 2013, Boston’s Industrial market continued the improvement it showed at the beginning of the year. The market ended the fourth quarter 2013 with an overall vacancy rate of 8.9%, down from the 10% rate from the end of the first quarter. In fact, industrial vacancy rates have gone down across the board over the past year. Vacant sublease space decreased, rental rates have increased, and the net absorption for the overall market was the highest it has been all year. Net absorption for the quarter totaled a positive 597,161 square feet, with a significant increase in absorption for the flex market. For flex projects, vacancy rates dropped to 11.3% at the end of the quarter, while warehouse projects showed the same rate as the end of the third quarter, at 8.2%. 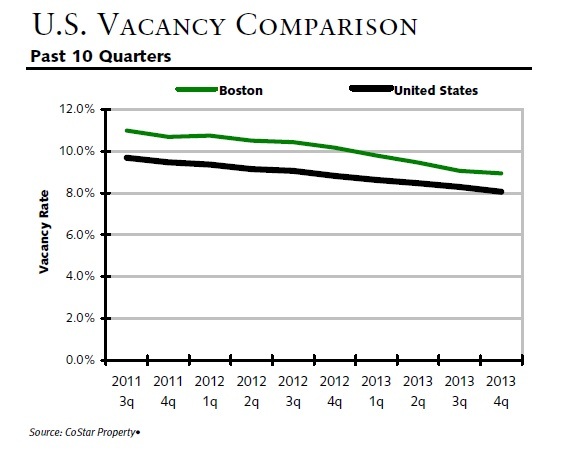 The amount of vacant sublease space in the Boston market decreased to 1,261,980 square feet by the end of the fourth quarter of 2013. The average quoted asking rental rate for available industrial space was $6.20 per square foot at the end of the quarter. This represents a 0.3% increase in quoted rental rates from the end of the previous quarter. In terms of deliveries and construction, during the fourth quarter 2013, three buildings totaling 84,436 square feet were completed in the Boston market area. One notable delivery from the past year was 29 Jack’s Bridge Rd, a 125,060-square-foot facility that delivered in the first quarter and is now 100% occupied.